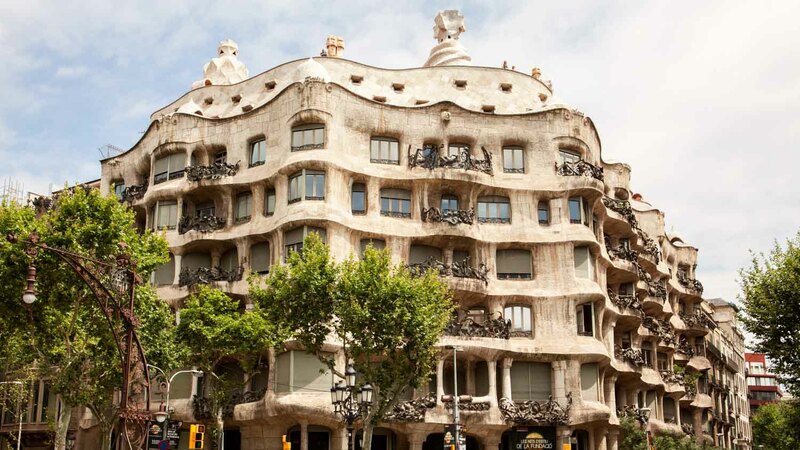 Designed for the wealthy businessman Pere Milà, Antoni Gaudí's modernist oddity in the center of Barcelona has become one of the city's most famous buildings. Rich with phantasmagorical features to explore, here are five interesting tidbits to start your tour! 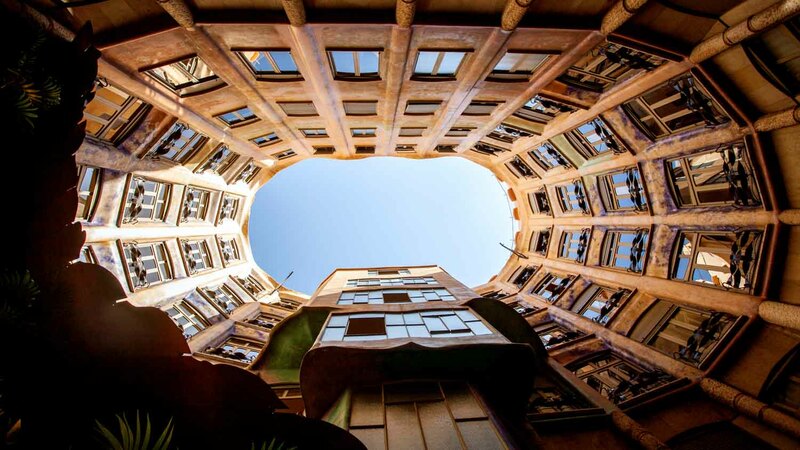 Its nickname means "The Quarry"
Casa Milà's nickname – La Pedrera – arose from its similarity to a single limestone precipice. A controversial building in its time, the term wasn't always used so affectionately! The design was heavily inspired by Gaudí's Catholic faith. He almost walked off the project when a planned statuary of the Virgin Mary was blocked by local building codes! 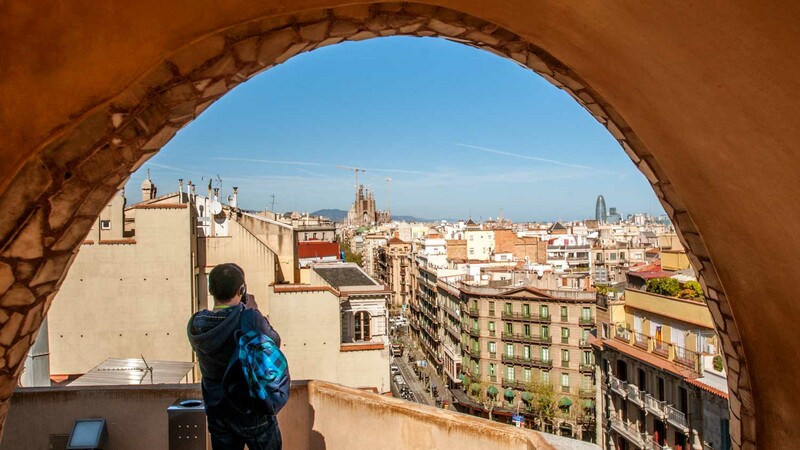 The rooftop terrace offers spectacular views over Barcelona and Gaudí's famous as-yet-unfinished Sagrada Familia. In summer, an open-air bar provides drinks and live music too! Even the air-conditioning is worth seeing! The roof terrace offers plenty more to quell your curiosity than the views alone. The Medieval knights among its surreal sculptures keep cool air flowing through the building. Gaudí wanted the building's residents to know each other. Elevators serve just every second floor, encouraging friendly encounters in the stairwells and landing! Casa Milà's opening times are 9:00AM to 8:00PM daily from March 1st to November 3rd, and 9:00AM to 6.30PM the rest of the year (closed December 25th and January 13th to 19th). La Predrera is also worth seeing at night, though. The rooftop bar is open until midnight throughout the summer months, and there are also occasional nighttime tours and exhibitions worth keeping an eye out for. Book tickets in advance to beat the queues, especially during peak season. Standard tickets cost upwards of €20 (audio guide included), with some special exhibitions costing more. Note that concessions are incredibly generous so bring anything that might qualify you! Children under six can go for free. 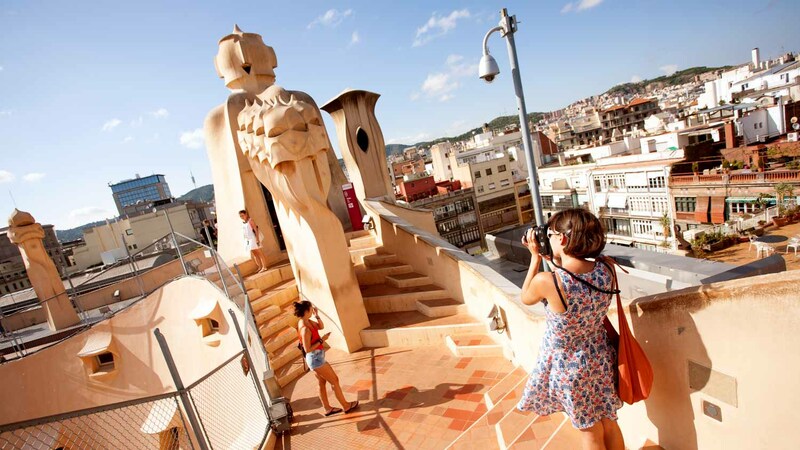 Casa Milà can be accessed by buses 7,16,17, 22, 24 and V17, or by taking the Metro lines 3 or 5 to the station Diagonal. March 1st to November 3rd, 9:00AM to 8:00PM, 9:00AM to 6:30PM the rest of the year. Ticket prices start at €20, audio guide included. 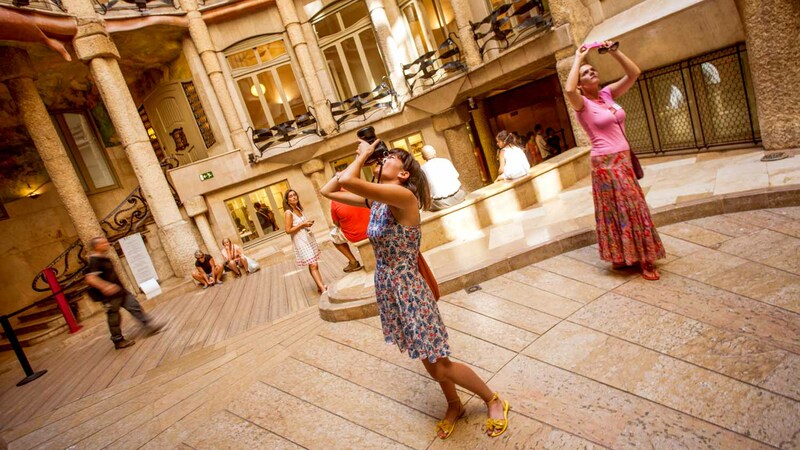 La Pedrera offers group tours in several languages, or check out our best-selling tours. Take the 7, 16, 17, 22, 24 or V17 bus or Metro line 3 or 5 to the Diagonal station. Tickets can be printed in advance or validated on your smartphone! Between 9:00AM and 10:00AM and after 4:00PM there are fewer crowds. A fantastic experience with the best guide! The view was fascinatig from the roof, the feeling was amazing while walking in the corridors, imagine yourself in the time that it was built, and thanks for Roberto, the best guide we've met, who made us feel the spiritual meaning of the house. 2 routes. Every attraction was available on this service, plus Camp Nou - a real bonus. Much cheaper than a cab and to far to walk. Perfect. Beautiful and breathtaking place to visit! The layout was great and incredibly interesting. One note is that there were too many people visiting that day. Add to that the noisy school groups it was difficult for all 5 of us. Overall the group of 5 using a 5-star rating gave Casa Mila a 4.2 I would reccomend this location to anyone visiting Barcelona. A fantastic way to check out the city sites! It was a lovely day to see the sites and amazing buildings of Barcelona. Also having the opportunity to get on and off to visit the parks then enjoy ice creams along the way made our day more enjoyable. I would recommend everyone does this when visiting this beautiful city.